Substance Abuse Free Environment, Inc. – SAFE’s mission is to engage our community in working together to prevent and reduce substance abuse. 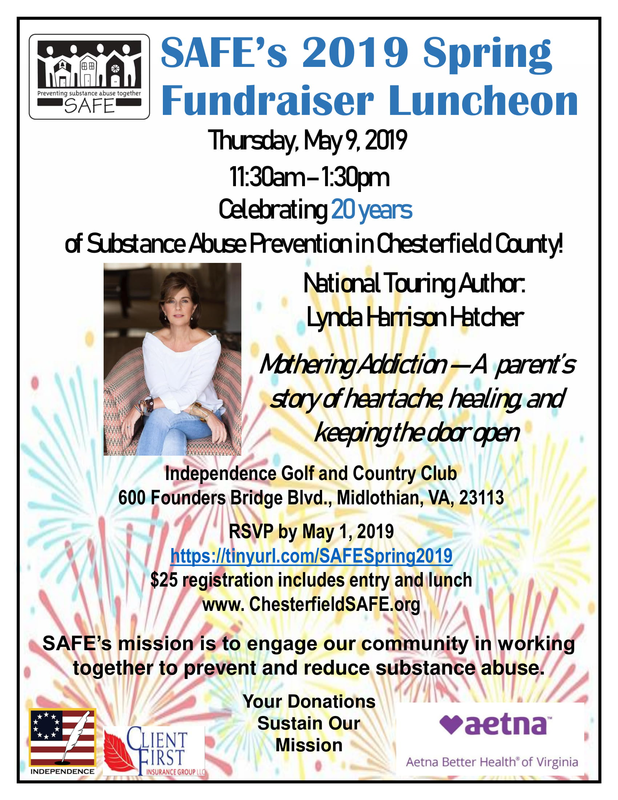 Join us at the SAFE 2019 Spring Fundraiser Luncheon on May 9th! RSVP today! November 27, 2018 is National Giving Tuesday. 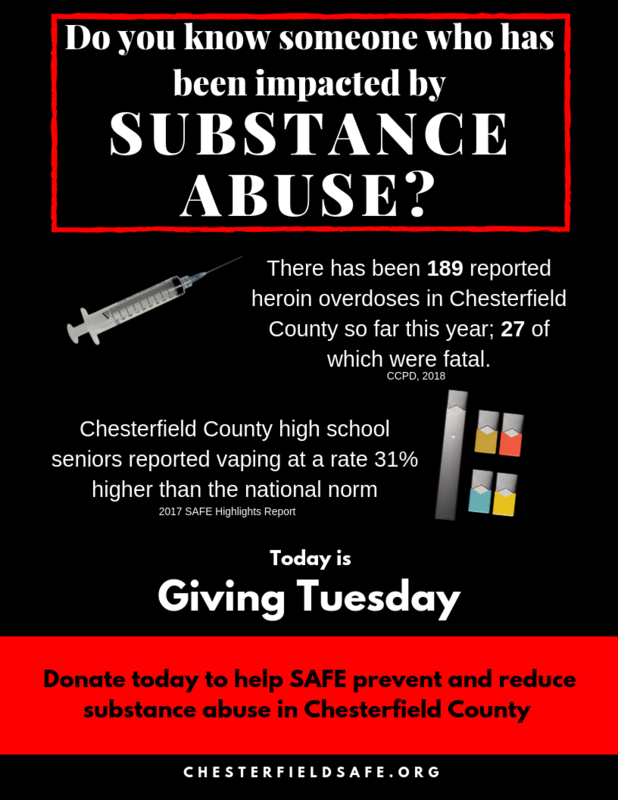 Help SAFE in preventing and reducing substance abuse by generously donating to support our strategies and initiatives! Click the link below to donate now! 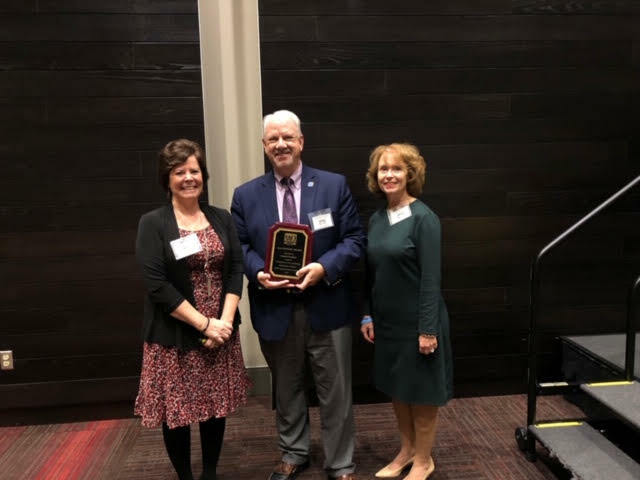 At our 2018 Annual Meeting, we recognized 3 individuals for their work done with Substance Abuse Free Environment. 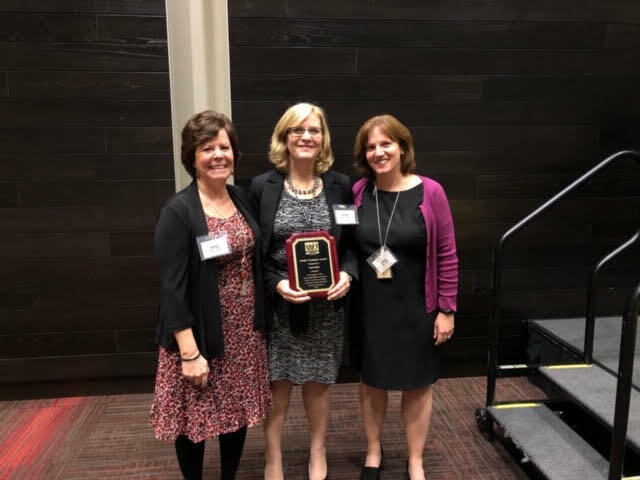 Congratulations & thank you for everything you do. 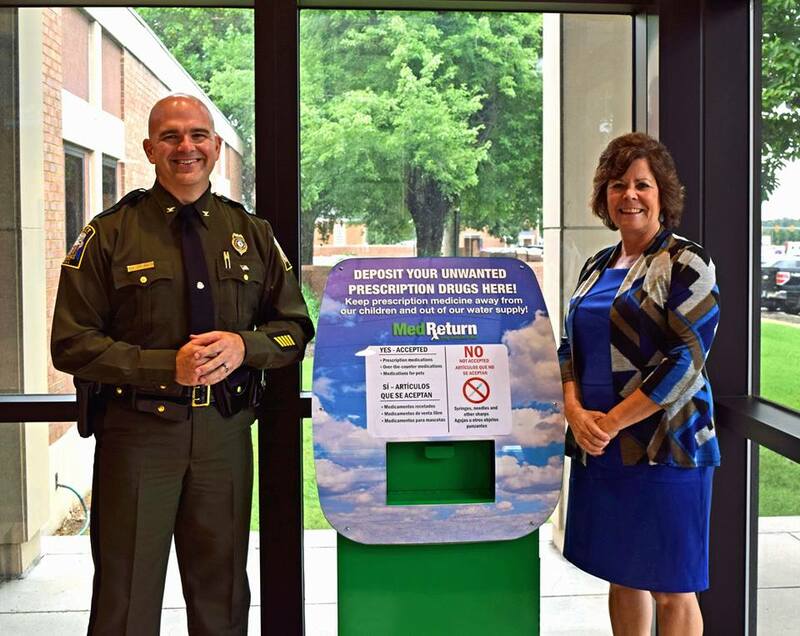 “Our department, in partnership with SAFE and other agencies, has hosted medication take-backs regularly since 2010,” said Col. Jeffrey S. Katz, chief of police. 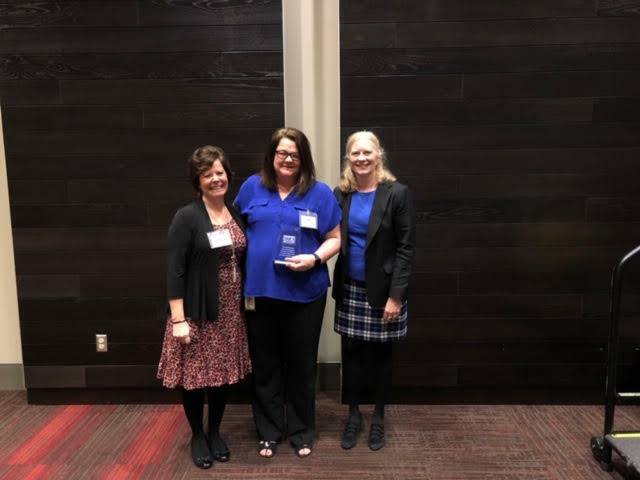 “At those events, we have collected over 22,500 pounds of medication. 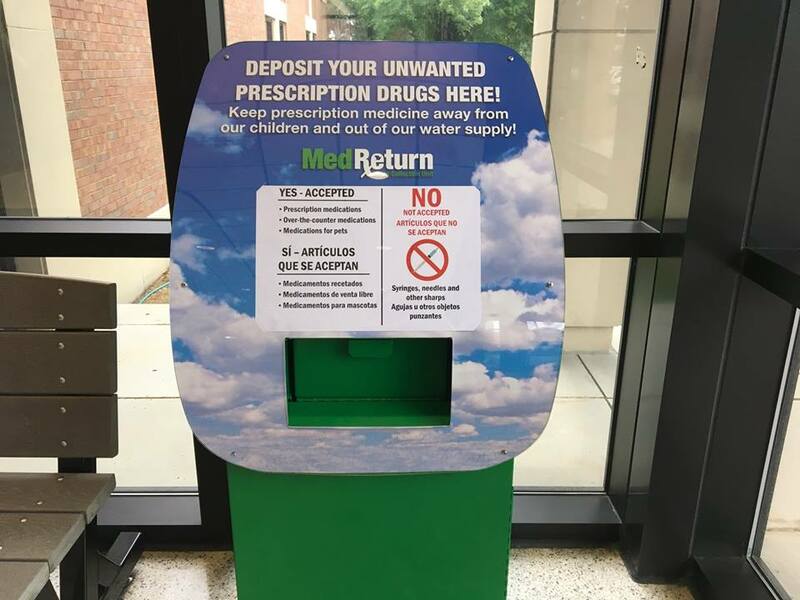 This drug collection unit will allow residents to dispose of unused medications between scheduled medication take-backs. 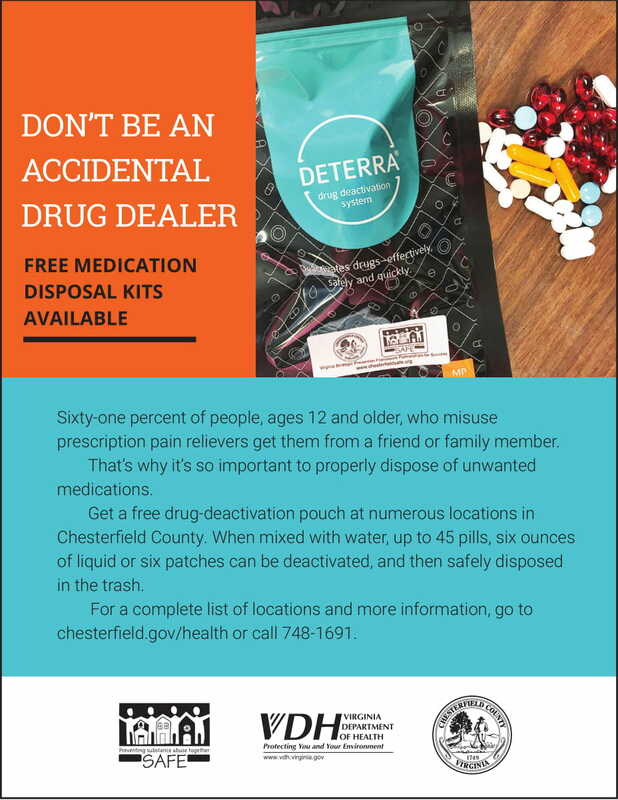 “Chesterfield County Police Department and SAFE have been partners in substance abuse prevention for many years,” said Regina Whitsett, executive director of SAFE. “We are pleased to donate this MedReturn Drug Collection safe to their agency. Authorized by: Maj. Brad Badgerow, Operational Support Bureau. 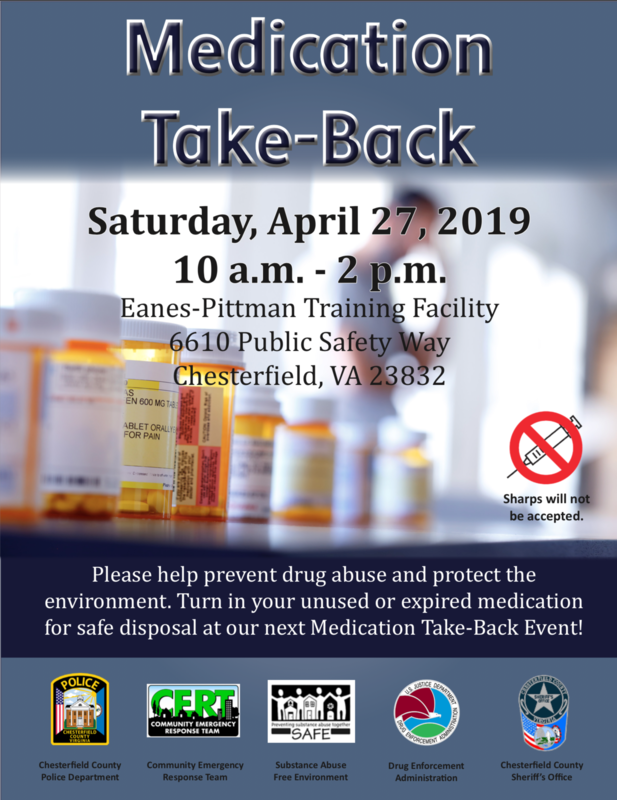 For more information, please contact Public Information Coordinator Elizabeth Caroon at 804-796-7032 or SAFE Executive Director Regina Whitsett at 804-694-7794.